If you asked people what habitats Stanley Park is famous for they might suggest forest, rocky shorelines, lakes and even sandy beaches. Not many, though, would mention its bogs. Visually bog habitats can’t compete with the more spectacular areas of the Park, but they are some of the rarest and most diverse areas found here. A bog isn’t just an area of wetland. What makes a bog habitat is the deposits of plant material that accumulate to form peat. This mixture creates an ideal situation for a unique set of plants and animals to flourish, that aren’t found elsewhere in the Park. The most characteristic plants of the bog are the sphagnum mosses, which cover much of the ground but amongst the moss you can find Labrador tea, western bog laurel and salal. 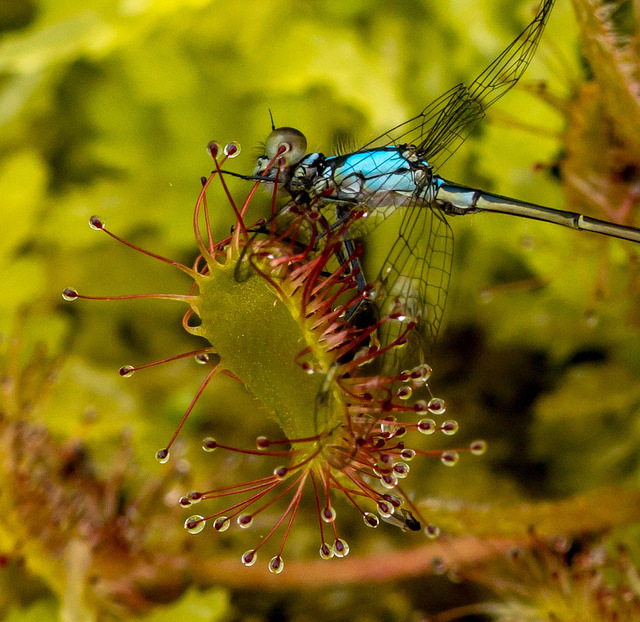 The bogs around Beaver Lake are also home to the only carnivorous plants in the forest: the sundews. These plants take their name from the droplets of liquid attached to stalks on the surface of the leaf. Despite the plant’s name, these drops aren’t ‘dew’, they’re a sticky glue-like substance that the plant uses to attract and then trap passing insects. Once an insect is trapped, the plant moves its stalks to envelop and digest its prey. These “meaty” meals provide the nitrogen plants need that isn’t readily accessible in the acidic bog. 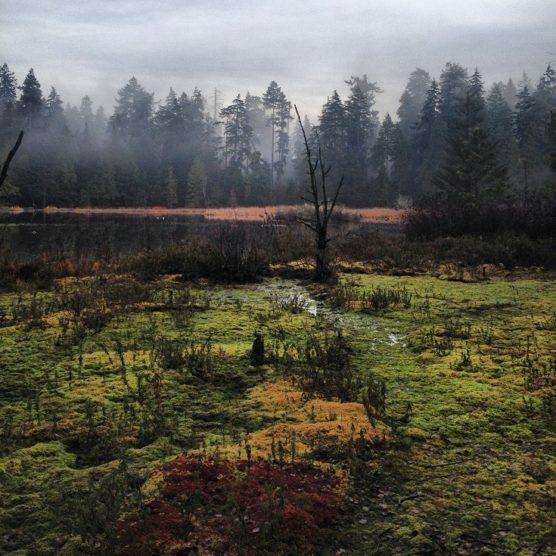 There are three peatlands around Beaver Lake, but the building of the causeway and the path around the lake has acted to dry the area out, so SPES has been working to restore the habitat, removing topsoil to expose the peat layer and replant native plants to reduce competition from species like hardhack and red alder that have spread over the years. It’s a reminder that the magic of the forest isn’t just its grandeur but the diversity it hides beneath the trees.